Four hundred and fourty-three readers love this post. A cocktail that celebrates Hospitality through its’ symbolism! 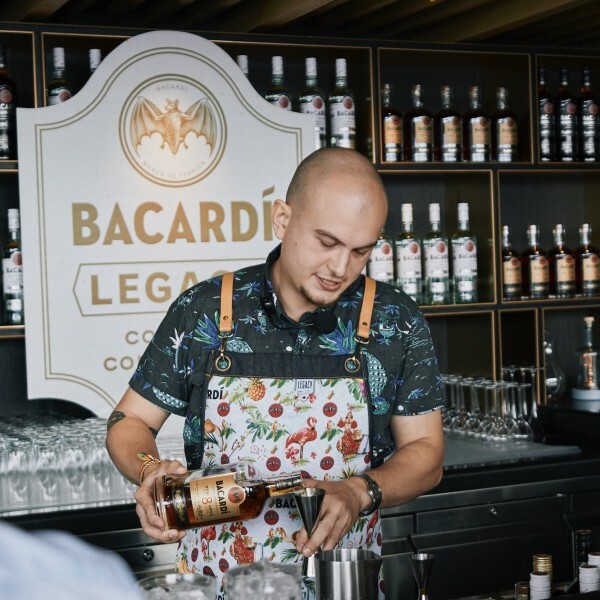 Originally created by Anton Gornev for Bacardí Legacy Cocktail Competition 2019 in Singapore, as a reminder to all Hospitality people about the roots of our profession – being hospitable and welcoming. 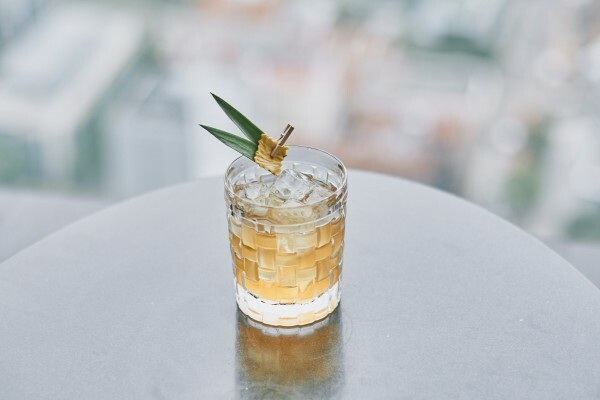 Can be simply described as a tropical rum-based Old Fashioned or a Tiki Old Fashioned. Ingredients used in this drink represent symbols of Hospitality from the countries that affected Anton’s career: Pineapple, as an International symbol, referring to the love for travelling around the world and discovering new cultures and flavours; Russia (where bartending career began) where there is a traditional way of greeting guests to your home – presenting them Rye Bread with Salt, which is represented in Bienvenido using Rye Whiskey and Saline Solution; UAE (where career boosted and priceless experience was gained) that has its’ own way of welcoming – with a cup of delicious coffee, that is shown in this cocktail with a light touch of Coffee Liqueur; and finally Singapore (the country that once was a dream to come and became reality a year ago), with no official Hospitality symbol, but a strong belief in the magic of lucky number “8” that means fortune, prosperity and success, terms that are closely related to the term of Hospitality – represented in the drink using Bacardi Reserva Ocho, a blend of rums aged for a minimum of 8 years. Originally from St. Petersburg, Russia, currently managing a Bar in Singapore. Love cooking and implementing cooking techniques into beverage world!